The second album from One Direction was revealed by Sony Music as “Take Me Home” and it goes on sale in the U.S. and Canada on November 13. Sony also announced the first single off the album which will be “Live While We’re Young”. The single will debut on most major radio stations in the U.S. on September 24 at 12 p.m. Eastern. So far the tracks for the entire album have not yet been set as the group is still recording the album. Their debut album “Up All Night” has sold 3 million copies worldwide according to Sony Music. Currently One Direction is the biggest global act to emerge from “The X Factor.” U.K. TV show, where they came in third and were not the X Factor Winner that most people thought. 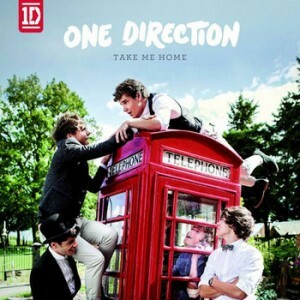 The new album “Take Me Home” is said to have a regular edition and a deluxe edition. The deluxe version will have 12 tracks and four bonus videos.